My plan is to have one bypass for the main line and 4 spurs. Two of the spurs are on the main line and one for each of the city loops. 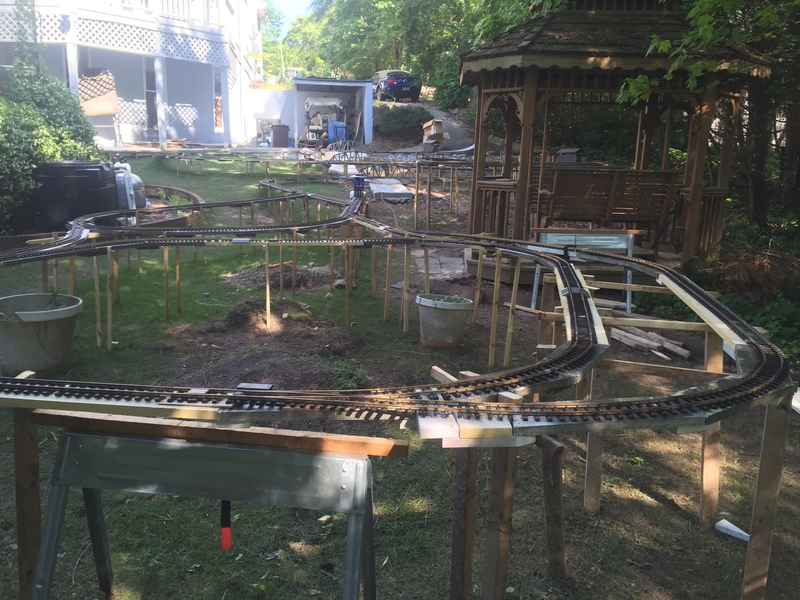 The exact use for the spurs will be determined in a later phase but I needed to lay the track and bed so that the landscaping can be planned around the main line, loops, and spurs. 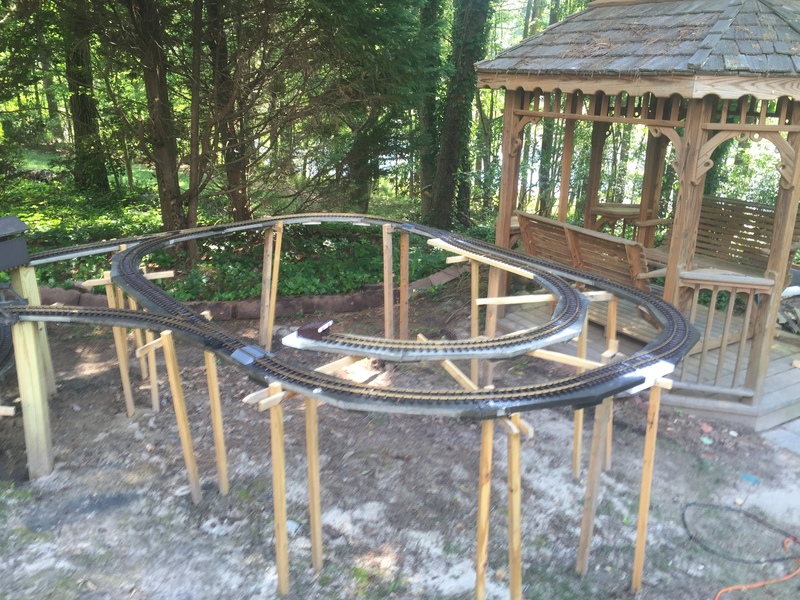 I am missing a few pieces of the hardboard for the bed so so several of the spurs are not completed but all of the curves most of the track is in place for the spurs. 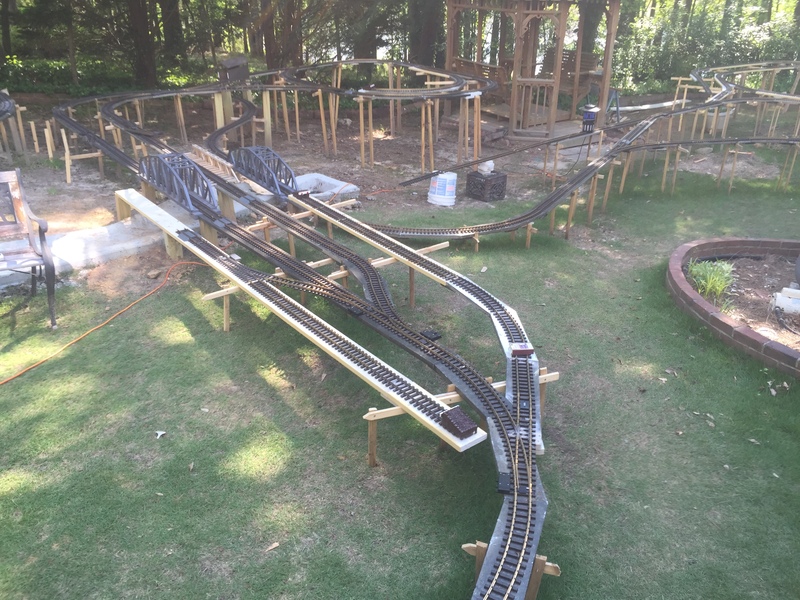 These are the last pieces for laying the track. 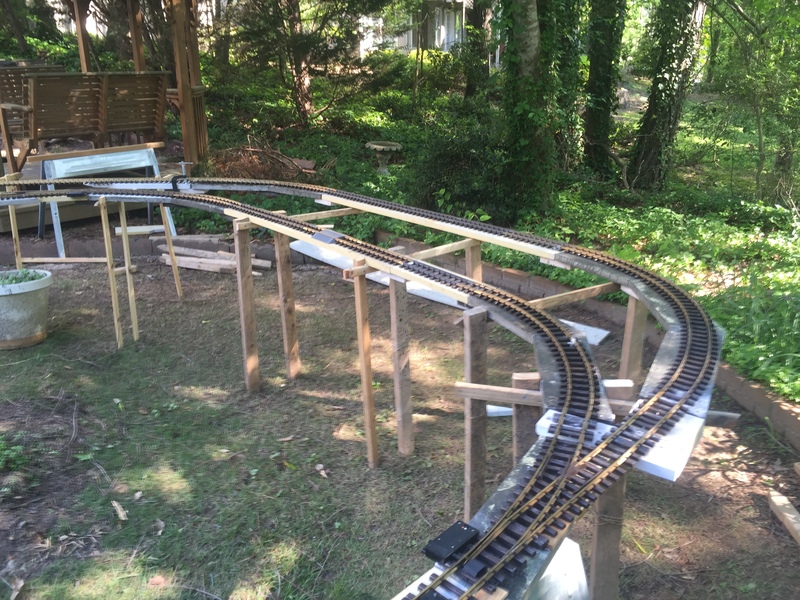 As I have laid the new track, I am creating the gaps in the track to allow for blocks. These blocks will allow me to control the locomotives and trains and to create signals and other events based on the blocks and where the different trains are located. My eventual plan is to have 3-4 trains running simultaneously. In order to do this I have decided to drive my locomotives two different ways. One way is to use the Digitrax DCC Command Control System. I am installing control modules in the locomotives and putting the signals and power on the track. My eventual plan is to have a switch on the locomotives that will also put it into battery power and controlled by the RCS American controls by Cordless Renovations. it has been a rocky start with Cordless Renovations so far but we will see how their product performs over time. Because of the state of my layout with the blocks and the track loops, I have to run the locomotives either using the Digitrax DCC system or the RCS America battery control system. I have decided to standardize the block monitoring, the signaling, and the turnout controls with Digitrax. I really like their product and it will allow me to control all aspects by computer and also by an iPhone or iPad. Hopefully this weekend I can begin to install the control modules in 2 locomotives and begin to test out the system.